In addition to installed loop systems, there are several unique looping products designed for both home and business use. From portable loops to personal pads, these products will make one-on-one interactions more enjoyable and easy to understand. The Counter Loop System is used for one-on-one interaction, such as at reception counters, information desks, and customer service areas. 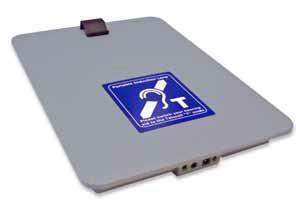 The system remains on so hearing device wearers do not have to request assistance. 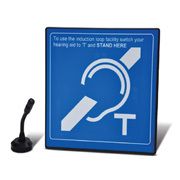 The Portable InfoLoop offers versatile, desktop assistance for hearing device wearers. 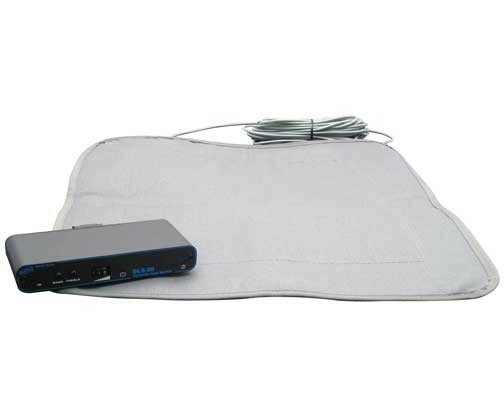 Used at a desk or small conference room table, it has an effective range of three to four feet. 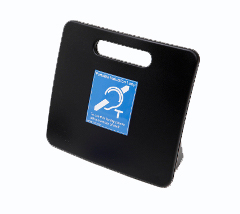 The Portable Clipboard InfoLoop extends the benefits of induction loop technology beyond the desk or counter. Use it inside or outside. The effective range is three to four feet. The Personal Loop Pad is an amplifier that plugs into your TV. It will deliver clear sound directly to the hearing aid without disturbing others in the room. To learn more about any of the products above, or discuss what product might be right for your home or business, please contact our looping specialists here at Loop Florida.